AskQ (pronounced Ask-Q) is our new KiasuParents.com platform intended to crowdsource questions and answers from the KiasuParents.com community. It is embedded as part of KiasuParents.com, and is also available as a mobile app to allow users to easily take and upload pictures of their questions and answers. Our primary goal for AskQ is to allow parents or students get help quickly when they encounter problems which they cannot solve. Parents and students may also use AskQ as a resource when revising or practising for their examinations, by following specific topics of interest. They can “follow” or bookmark questions which are interesting so that they can easily refer to the questions at any time. It is our hope that families who cannot afford to pay for tuition can benefit from this platform. To be really useful, it is necessary that users provide as much information as possible regarding the question. Users must be logged in to ask a question. Click on the ASK A QUESTION button. There are 3 sections on this page. The Upload Image is an optional section, useful for users to upload an image of the question itself. Once imported, there are a set of simple graphical edit tools for users to draw and mark up the image. The Edit Question section is intended for users to describe or state the problem using a rich-text editor. Users can also insert images in this section inline with their comments. The Describe Question section allows users to tag the question so that it can be easily found. Level refers to the level of difficulty of the question, which, for example, can be Primary levels (P1 to P6) or Secondary levels (S1 to S4). This is a mandatory field. Subject refers to the subject matter, and the available values are dependent on the Level selected. For example, at P1 Level, there will be no Subjects such as Additional Mathematics. This is also a mandatory field. Topics refers to the specific topic that the question is about. For example, Primary school Mathematics may have topics such as fractions, geometry, etc. Users other than the question setter can also tag the question with additional topics as they browse the AskQ Library. This is a mandatory field. Related Link is an optional field that is intended for users to link back to a KiasuParents.com Forum post. Source is an optional field for users to credit the source of the question. Accepting an answer. When someone answers your question, you will receive an email notification with a link to your question for review. It is important that you read the answer and offer compliments by “Liking” the answer, should it help you in answering the question. Remember that people answer your questions on their on time and volition, out of the goodness of their hearts. Each like you give will help the contributor earn KiasuPoints (KP$). For the answer you really like, you should click on its Accept Answer link so that it will be on top of all other answers. Users must be logged in to answer a question. Click on the Question in the AskQ Library to browse the question and any answers that might have been given to the question. If no one has answered yet, the Answer count will be zero. Click on the pencil icon to post an answer to the question. You may also post a reply to an Answer by clicking on the Reply button of an Answer. There are 2 sections on this page. The Upload Image is an optional section, useful for users to upload an image of their answer itself. If the original Question has an image, users are given an option to import the original image. Again, there is a set of graphical editing tools that can be used to mark up the image by drawing on the image. The Edit Answer section is intended for users to describe the answer using a rich-text editor. Users can also insert images in this section inline with their comments. Users do NOT need to be logged into their KiasuParents.com account to browse and read the questions and answers. Click on the AskQ home page or the VIEW LIBRARY button to see a list of questions asked shorted in chronological fashion. Users can filter and see only the type of questions they are interested in by using the filters. 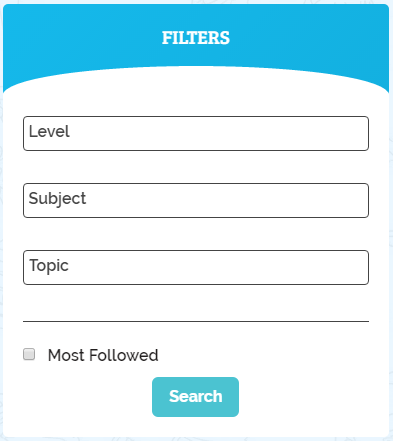 Any number of Levels, Subjects, and Topics can be added to the filters. Users can also set permanent filters in their User Profiles by clicking on Preferences and setting the AskQ Level and Subjects they are interested in monitoring. This allows them to only see the Subjects they want.